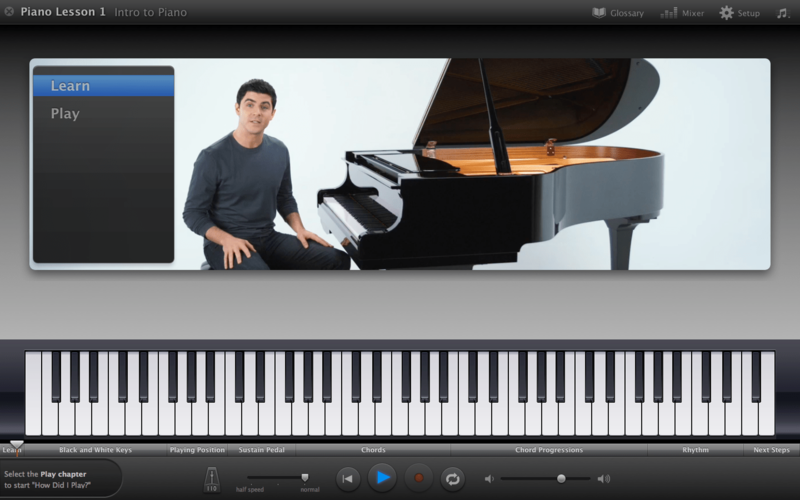 Apple has made it easier then ever to learn how to play an instrument at home. Through GarageBand you are able to learn the fundamentals of how to play a basic, rock or even a blues guitar. Did I mention that those lessons are free. You can even learn along side one of your favorite artists, but this one will end up costing you about $5 for every lesson (lessons go from Beginner to Advanced). 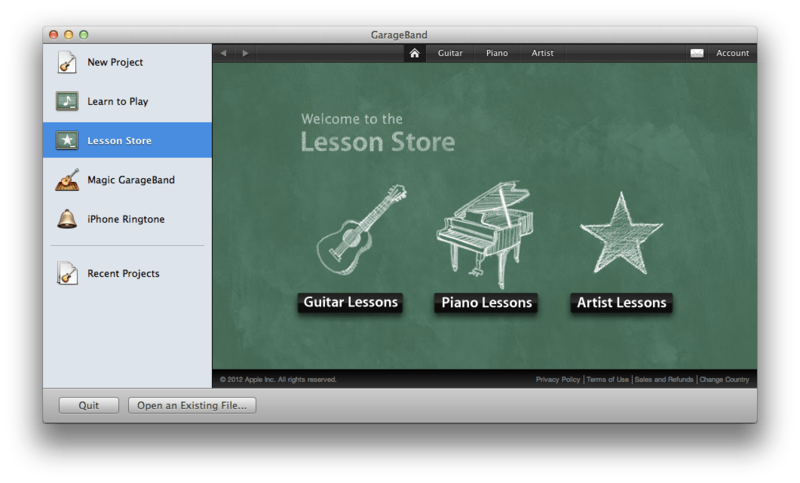 All of this should be located in GarageBand’s Lesson Store. 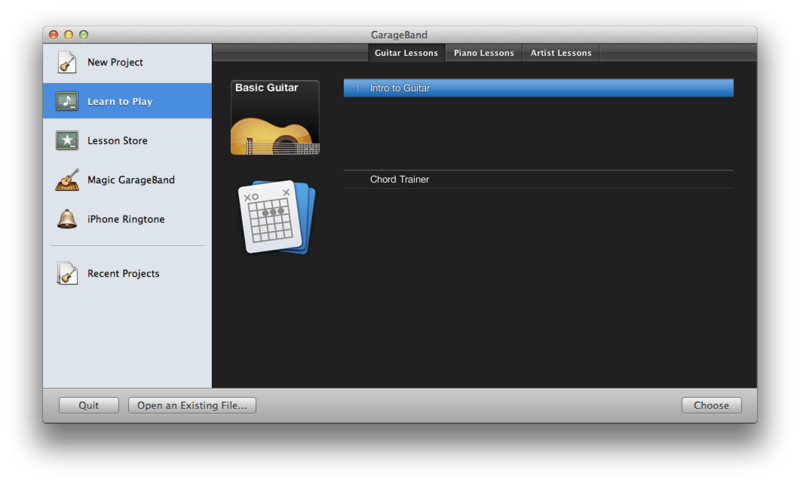 “Intro to Guitar” should already be pre-installed into GarageBand. To start the video just click on it and a full screen demo should appear. On the timeline (located under the video) you are able to control which sections you would like to go over. On the top right of the full screen demo are a Glossary (for music terms), a Tuner (if you have your guitar plugged into your computer), a Mixer (for volumes of teacher’s voice, guitar, ect…), and Setup (for music notations or how you would like to view your music notes while in Play mode). When you feel ready to take a take on the song that you have been practicing in the video, hover over the video screen and click Play. In Play mode you are also able to pause, repeat, and slow down parts of the song to make it easier to learn. After a little practice you can record yourself and listen to what you sound like by hitting the circular Record button on the bottom middle. In no time you will be a rock legend!